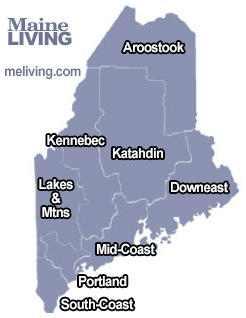 Visit midcoast Maine film locations. Seeing a place where a movie was filmed can make a trip an even more memorable one. Being able to walk the streets where the story took place and be where the actions happened can be enjoyable for all. Ask us about Maine movie scenes or share comments. To feature your Maine business, contact us. Filmed entirely in Bath, this dark, haunting drama is a story about four brothers, narrated by Martin Landau, as the grown-up, oldest brother. This 2001 melodrama starry Sissy Spacek and Marisa Tomei won an award at the Sundance Film Festival. The movie features a number of Maine locations, including Rockland, Camden, Rockport, Belfast, Owls Head, Old Orchard Beach, Trevett, and Wiscasset. Another Stephen King movie, Thinner was filmed in 1996 in Camden, Appleton, Belfast, Portland, and Thomaston. Many of the movies based on one of Steven King’s novels were filmed in Maine including the tunnels beneath Bangor waterworks. This comedy/thriller, starring Harvey Keitel, Cameron Diaz, Craig Sheffer, and Billy Zane, was filmed in Phippsburg. A temporary house was constructed on an island near Lincoln Beach. It is a story about a prominent judge, his wife, her ex-lover, their neighbor, and a dead body that complicates their lives. Casper, a story of the famous Friendly Ghost, was filmed in 1995 in Camden. The story was set in the quaint fishing village of Friendship, but ironically the producers thought Friendship wasn’t quaint enough so they chose Camden instead. Part of the movie was also filmed in Rockport. Forrest Gump was filmed in Pemaquid and Port Clyde. In Port Clyde, the Marshall Point Lighthouse was filmed. The Man Without a Face, starring Mel Gibson, was filmed in 1993 in Rockport, Cape Rosier, Bath, Brunswick, Portland, and Rockland. Bowdoin College in Brunswick was also used for filming. With Beau Bridges and Kathy Bates, this was filmed in South Bristol (at Gamage Shipyard), Ellsworth, Stonington, and Thomaston. This 1957 film starring Lana Turner and Hope Lange was filmed in Camden and Belfast, and is still a classic. This 1956 classic starring Gordon MacRae and Shirley Jones was filmed in Boothbay Harbor and Newcastle. This 1946 classic starring Dana Andrews, Jean Peters, Caesar Romero and Dean Stockwell, was filmed in Rockland and Vinalhaven.